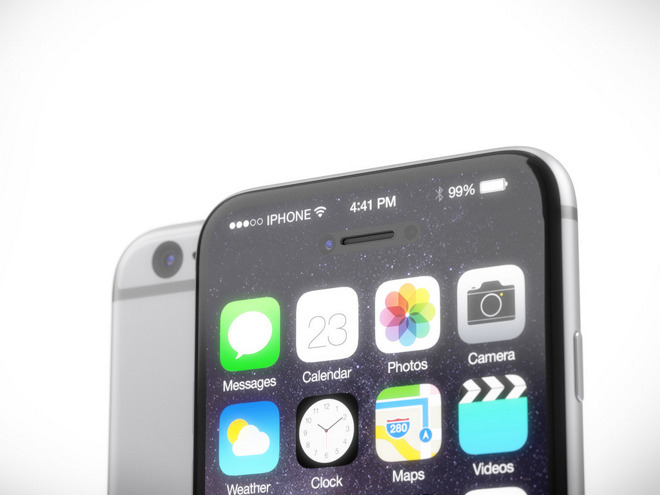 With this year's "iPhone 7" expected to have a similar design and form factor to the current iPhone 6s, rumors continue to point toward a major overhaul in 2017, with one well-connected insider suggesting Apple is working on an edge-to-edge display that will conceal components and sensors under the screen. Edge-to-edge iPhone display concept by Martin Hajek. Sharing the latest "scuttlebutt" he's heard from sources inside Apple, John Gruber of Daring Fireball said on the latest episode of his "The Talk Show" podcast that sources have independently told him that next year's iPhone upgrade will feature a display on the entire front face of the handset. "The Touch ID sensor will be somehow embedded in the display, the front facing camera will somehow be embedded in the display, the speaker, everything," Gruber said. His comments were made in a conversation with analyst Ben Thompson, around the two-hour mark of the latest episode. 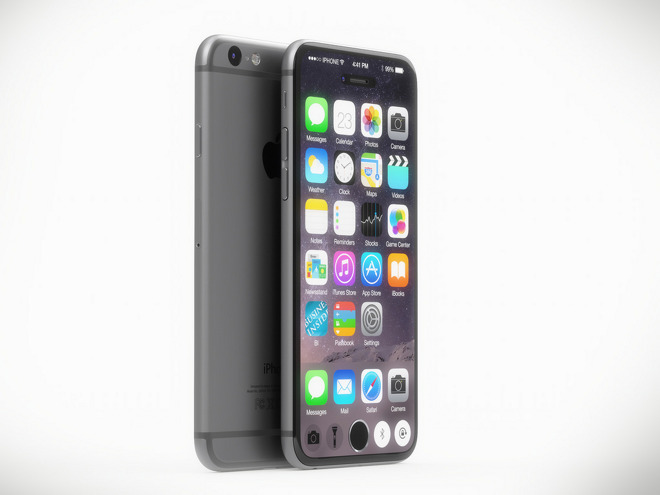 The two lamented the fact that this year's so-called "iPhone 7" is expected to look largely identical to the previous two generations, the iPhone 6s and iPhone 6. Gruber said he doesn't believe Apple will call this year's model the "iPhone 7," though he admitted that was speculation based on his "gut" feeling, rather than what sources have told him. He also said the "rumor mill is probably right," and that this year's update will look like an iPhone 6s with the antenna lines removed from the back of the handset. Apple is expected to have much bigger changes in the works for 2017, however. Analyst Ming-Chi Kuo of KGI Securities was first to report in March that next year Apple is apparently planning to introduce a high-end model that sports a curved glass case and a 5.8-inch AMOLED display. Gruber took the rumor one step further, and indicated that the entire front of the device is expected to be a display, eschewing the "chin" and "forehead" that have existed on every single iPhone model to date. "2017 is going to be the jaw-dropping, wow, that's an astounding industrial design iPhone," Gruber said. Still unknown is whether Apple hopes to shrink the form factor of the iPhone while keeping the same size display, or increase the screen size on the iPhone while retaining the same general form factor. Though Apple has stuck to a "tick-tock" strategy with the iPhone for years, redesigning its handset every two years and then refining it with an "s" upgrade, all signs point to Apple introducing a new iPhone design next year. Apple's "iPhone 7" is expected to be introduced this September, and leaked parts and details show a device with a nearly identical form factor to the iPhone 6s.